A couple of weeks ago we took the zincatest during a lecture at the nutrition course I’m doing. This is basically a super simple taste test to find out if you are deficient in the important mineral zinc. Have to say, I felt quite smug, my diet is 80% good, but I was quickly brought down to earth when it turned out my zinc levels were actually pretty low! I’m in good company, it’s very common to be low in zinc. Teenage boys are almost always deficient. Zinc is an important antioxidant, if you want your immune system to be in tip-top form stock up on foods containing zinc. It’s essential for healthy happy skin, it’s needed for new generation of cells, It helps regulate hormone balance and oil glands, so it’s very efficient in treating both acne and dry skin. Zinc is good for combating stretch marks, eczema and to speed up wound healing. Growing kids and teenagers need it for growth and it also helps with sugar regulation and fertility and for the uptake of vitamin A, and if you are stressed your need for zinc increases. So quite an important mineral….! If you always pick up colds, check your zinc levels. White spots on the nails can also be a sign of zinc deficiency. 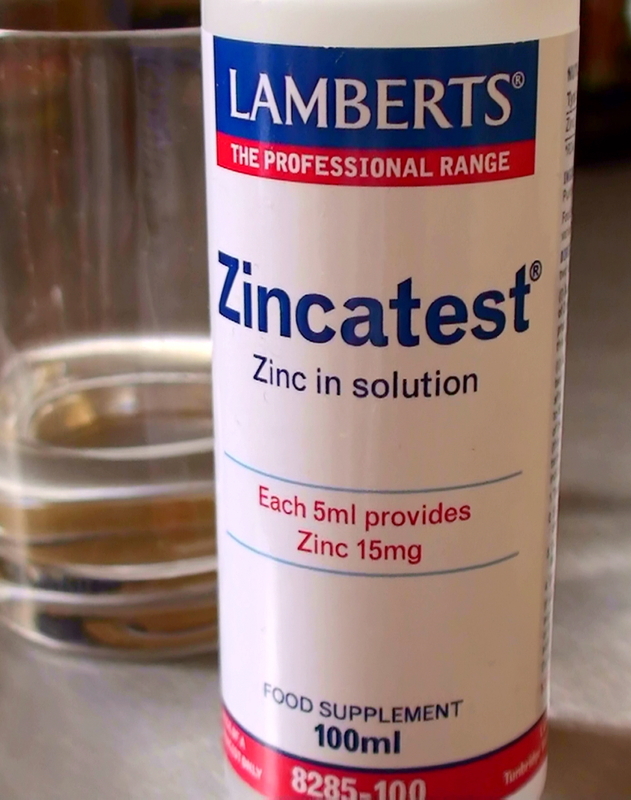 The zinc tally test will tell you if you are low on zinc. It’s an easy to use taste test that will indicate your zinc status. The whole family took the test and everyone was low! 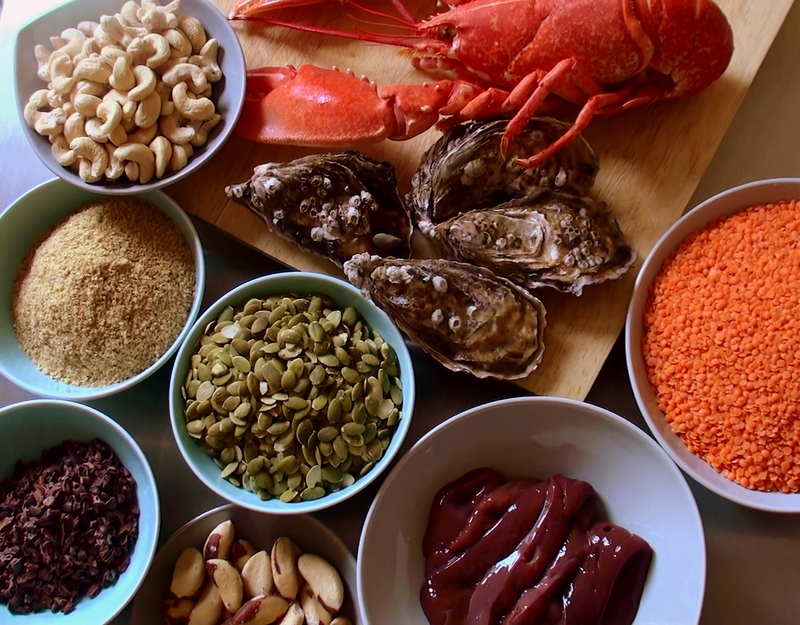 I have now stocked up on zinc bursting food (see picture above) like oysters, seafood, calf liver, lentils, pumpkin seeds, cashew nuts, brazil nuts, wheat germ and raw cacao. Excellent news! I am going to be able to stuff my face with basil nuts to get more zinc. That said, if I eat a lot of dark chocolate I should be OK, shouldn’t I?